Lakeshore Medical Associates (Chicago) - Book Appointment Online! 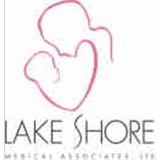 For over 25 years, Lakeshore Medical Associates has been serving women of the Chicagoland area with boutique obestetrics and gynecology. Dr. Vijay Arekapudi and her daughter, Dr. Swathi Arekapudi pride themselves on providing continuity through pregnancy and one on one service for their patients. The practice specializes in minimally invasive procedures in office, and is the only office in the area to provide Essure, endometrial ablation, ultrasound and fetal monitoring on site. The Division Street location also provides Free Parking as a convenience to patients.